Comprehensive and authoritative, the ideal German to English and English to German bilingual dictionary for advanced students of German and professionals, this dictionary has been revised and updated to cover all the latest vocabulary in both languages. The eighth edition is designed for advanced students and professionals using German. It draws on Collins' unique multi-million word databases of contemporary language to ensure the user has the most complete and accurate picture of real language today. * Includes the latest vocabulary from a wide range of fields, including the Internet, computing and business. 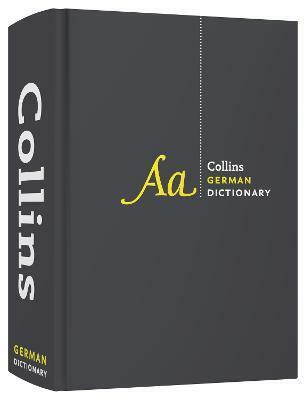 The dictionary also includes special entries on life and culture in German-speaking countries. * To help you find the correct translation, long and complex entries are treated in depth and key phrases and set grammatical patterns are highlighted. * The accessible layout ensures that you find exactly what you need quickly and easily. * Contains a comprehensive `Language in Use section': a full guide to written and oral communication in German. * New to this edition is a Business & Finance supplement, ideal for those who need to use German for work.